This incredible little town has been written up in just about every online and printed medium possible in the past few years. Founded in 1750 by the Ellicott Brothers, three Quaker brothers in search of a good location for a mill, they happened upon the Tiber river in what was then Ann Arundel County. Here, they decided, was an excellent location for their new mill. The town of Ellicott Mills was born! Now this town, once a center of commerce for grain, is a wonderful collection of antique stores, eclectic shops, restaurants, and taverns. There are Ghost Tours almost all through the year and a monthly farmers market during the spring through fall. There is always something going on in the historic downtown. 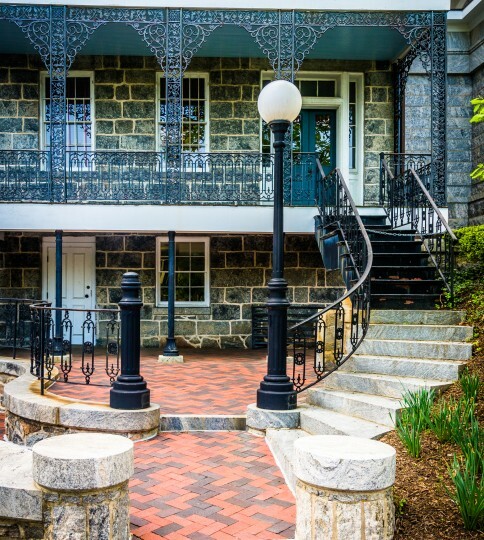 Enjoy everything this wonderful town has to offer with the many fun things to do in Ellicott City, MD. Ellicott City has long been known for its ghost sightings and stories that accompany the town’s rich history. Taking a ghost tour through Ellicott City is one of the best things to do in Ellicott City at night. The Ellicott City Old Town Market is a staple in this town. Every Saturday head to the Ellicott City Historic District where you are able to buy local, farm-fresh foods and goods while listening to live music. Voted the best of Howard County in 2014, this is one stop you can’t miss. Head to the place “where fairy dust and bubble meet to create shopping magic,” at the Forget-Me-Not Factory. As one of the largest and oldest building in Historic Ellicott City, enjoy all of the treasures in this three-story toy store with everything from dragons to costumes and much more! The Patapsco Valley State Park stretches along 32 miles of the Patapsco River. With many of recreational areas and 14,000 acres of land, Maryland’s first state park is a great place to visit. Wondering what other things to do in Howard County, MD, and surrounding areas? There are so many opportunities from Columbia, MD, to Washington DC and beyond!